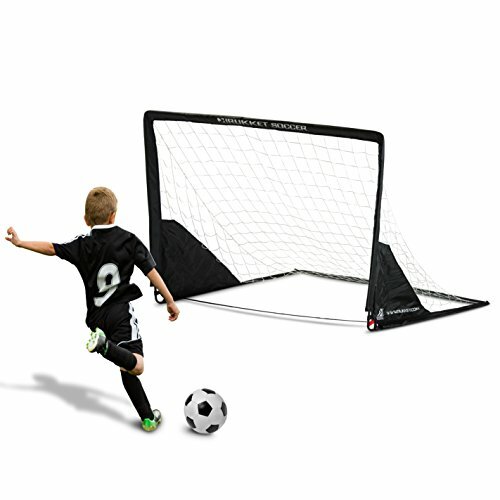 The Grasshopper 6x4 Soccer Goal is the first goal to cross pop up; with a full frame goal. The net uses a strong and padded fiberglass frame that is easy to fold and carry that sets up faster than any rectangular 4x6 net available today. Side pockets allow for weighing down the net to prevent movement on gym floors, indoors or artificial turf. 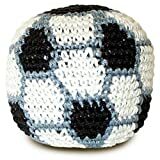 Once folded the net is lightweight and durable and hangs easily in any garage or storage locker, keep your yard free of soccer lawn art. Take this goal anywhere your game goes. 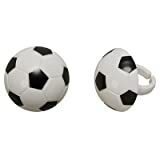 Rukket Sports is a manufacturer of high quality sporting goods with all the features and benefits you would expect from a top of the line net at an unmatched price. All products are protected under Rukkets' own "Fair Play Guarantee".